- Cut out cross stitch template and tape to cardstock. Use your embroidery needle to pre-punch all of the holes. Remove template. - Crochet star (worked with metallic gold and 1.75 mm crochet hook): Make a magic loop. Work (ch 5, sl in 2nd ch from hook, ch3, sc into magic loop) five times. Sl into bottom of original ch. Bind off and sew to top of cross-stitched tree. 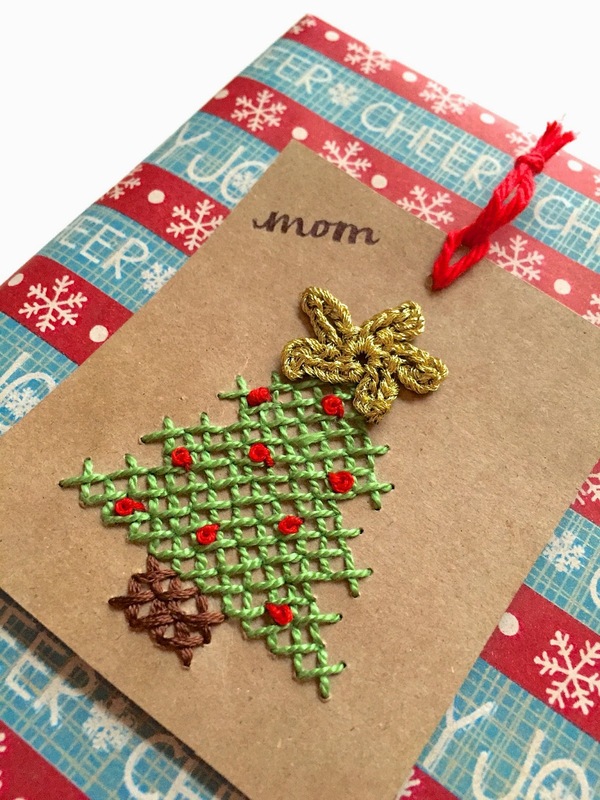 - Punch a hole in the top of the card and attach a loop of yarn for hanging. 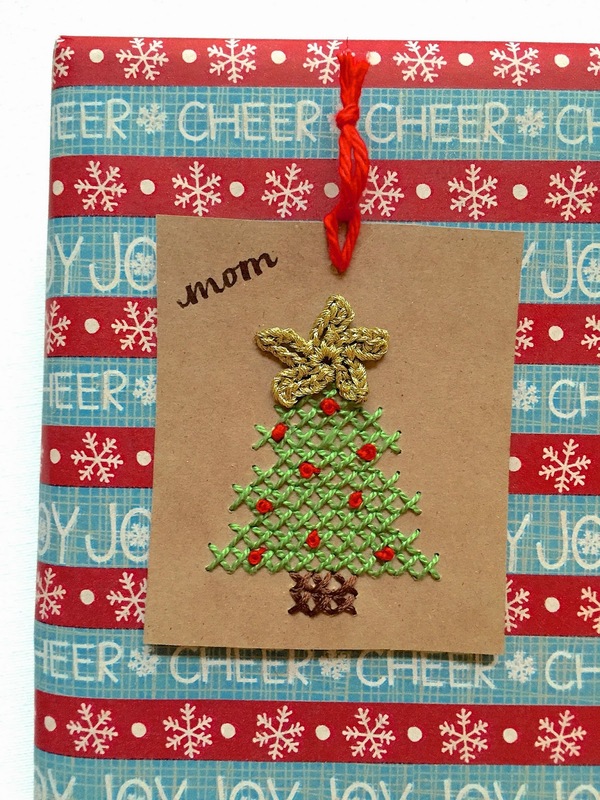 Be sure to check out the other projects in my 12 Crafts of Christmas series! If you've made any of the projects this year, I'd love for you to share them with me!